Starting a business all on your own from home can be a big learning curve where you are in unfamiliar territory. It can be easy to spend huge amounts on a startup. People who are prepared to risk their savings on expensive dreams are becoming rarer. However people still take their retirement payout and “invest” in a startup business. 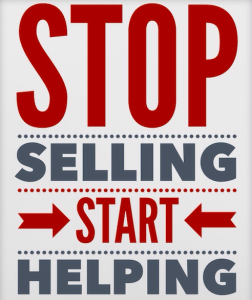 Yes it can work for you but the present day statistics point to pause for thought before jumpi ng into a traditional bricks and mortar business. The finance decisions are yours totally until you need to involve banks etc then it becomes an accountable burden, so its worth being critical and careful. The baby boomer generation is turning 60, and the prospect of retirement is looking more frightening than ever before. House prices are dropping, retirement plans dwindling, interest rates not paying enough on savings. So retirees are now facing challenges they had never anticipated. Those challenges aside, retirement packs its own host of roadblocks for those who want to leave the workforce. The cost of living is often more than most people assume, and few workers are able to retire with as much savings as they need in order to live comfortably. For the solution to those problems, many retirees, Rita included, are looking to the same source of residual income that Elizabeth Lindberg discovered nearly 25 years ago. At the time a retired 66-year-old nurse she’s now earned over $1 million to date from her Melaleuca business. Elizabeth enrolled with Melaleuca in December 1985, just a couple of months after the company opened its doors, a year after most people retire. The number of people living with diabetes in the UK has soared by 59.8 per cent in a decade, according to a new analysis by Diabetes UK. The new figures, extracted from official NHS data from the Quality and Outcomes Framework, 2004-05 to 2013-14, show that there are now 3,333,069 people diagnosed with diabetes, which is an increase of more than 1.2 million adults compared with twelve years ago when, in 2005, there were 2,086,041 people diagnosed with the condition. This doesn’t take into account the 590,000 adults estimated to have been undiagnosed with diabetes in 2013-2014. 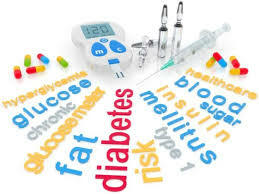 Diabetes is a disease that seems to be on the increase! May be an age thing but I notice more and more people I know that are being diagnosed with or have been dealing with Diabetes for a while. The recently diagnosed are experiencing the debilitating symptoms of being diabetic. And most of these are active people who want to stay active. Tiredness seems to be an issue even with the top ups of Mars bars etc. This made me want to see if there was anything that Melaleuca produce could possibly help these people. 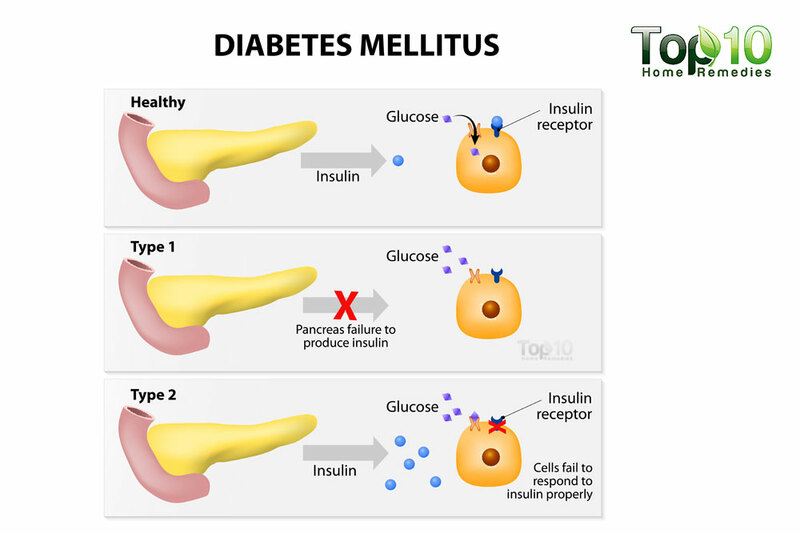 Below are testimonials of people that have used Melaleuca products while managing diabetes . I have been a diabetic for 33 years and have been on an insulin pump for the past 5 years. I recently started using the Peak Performance pack, cell wise and the attain bars. Within the past 8 days I’ve had to lower my insulin doses twice. I was on a total of 24 units of insulin in a 24 hour period, and now I am down to 19.4 units in a 24 hour period. 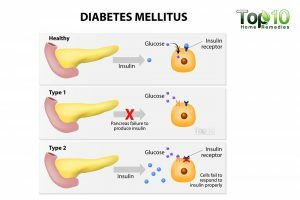 I would like to share with you my husband’s story regarding Melaleuca and diabetes. Ron is a Type II diabetic. My husband has been a diabetic for 30 years. We found Melaleuca on recommendation from a friend. 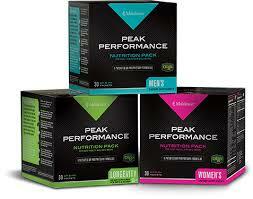 Due to this advise we immediately started taking the Peak Perfomance Pack. He saw an immediate need to decrease his insulin. When they came out with the new upgraded Provex CV, we switched and again he lowered his insulin (he is VERY insulin resistant). A year ago we upped his dosage from 1/40 pounds of body weight to 1/30 pounds of body weight. AGAIN he had to decrease his insulin. Other benefits – he is no longer getting water blisters on the shins of his legs. In the 4 1/2 since started using Melaleuca products we both have had only an occasional slight cold. We are both very grateful for the Melaleuca products. I use the Renew lotion on his skin as dryness seems to be worse I was using a prescription lotion with lanolin. Its much better now. My mum who has been diabetic for years with fasting sugars over 120. After 1 week on the supplements and GC control, her sugars are ranging between 55 and 75! She had to reduce her meds! I have had diabetes for over 36 years, through the years I have developed a few of the complications with this condition. I have severe diabetic retinopathy in my eyes, when I was advised to go to the Mayo Clinic I was told they were not sure if they could save my sight. Other things started happening, such as my cholesterol level was high, my blood glucose levels were harder to control, plus the Doctor said I was showing signs of kidney damage. My friend Patti asked if she could show me about some products she heard helped other diabetics, I hesitantly agreed to meet with her thinking it was going to be “one of those”. Patti and her friend Vicki came and showed me about a company called Melaleuca, the vitamins they offered and all the wonderful properties of the Melaleuca oil. I first tried the oil and a few of the cleaning products. Using the oil in just a few different situations, I found it to heal various problems like athlete’s foot, a boil, burns, cuts etc, in just a short amount of time, this was very impressive as usually, I took longer to heal with this condition. I decided to try the vitamins to see if they were as good as they made them sound, as they had a 90 day guarantee so I could return them if they didn’t work for me. Within a month I really could feel the increased amount of energy, others could also tell that I felt better. After the first year of taking the Peak Performance Pack my cholesterol was back to the normal range, my vision and my blood pressure improved, I did not have any bladder infection problems which had been a constant battle and I just felt better all around. Replenex, 2 to 3 per day and Nutraview 2 a day. I have been using an insulin pump for 3 years now and use the liquid soap for cleaning the infusion injection site and the Renew Bath Oil when I remove the infusion to change the site and have had no problems with infections or healing.? 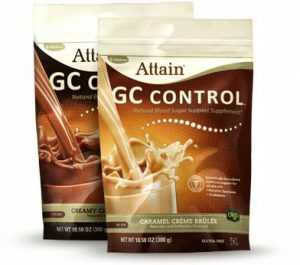 I use the Access bar before doing any strenuous exercise, which helps maintain my blood sugar and the Attain drinks and bars when I need a quick meal. We use many of the Melaleuca products through out our home now and would not be without them! My husband has diabetes. In addition to him eating properly, I have him on the Vitality Pak, Provex Plus, Provex CV, this is an important one, as you know diabetics usually don’t have great circulation and the Provex CV helps, I also have him on Prostavan, and Cell Wise. He goes to the doctors every 3 months for blood work and so far his has been right on the money. His doctors are impressed and so is he. He now only uses the Melaleuca products. I have been using the Melaleuca products for three years, and these products have changed my life. I want to share the different ways that these products have helped me, so possibly they can help you. The first product that had an impact on me was the tooth polish. I was having a tarter problem with my teeth. One month after going to the dentist my teeth would have tarter on them. My dentist wanted me to come in every 3 months, but I did not want to go because I did not like the pain that took place when they scraped my teeth. Due to using the Tooth Polish, Breath Away and the dental tape, I now go to the dentist once a year with very little plaque. My gums do not bleed and I can This not only keeps my teeth and gums clean, but is saves me a lot of money. I did not use the vitamins at first as I thought that they cost too much and that the fructose compounded minerals in the vitamins would raise my blood sugar. We found that we were able to save money using the safe cleaning products so we decided to share the products with a few friends. One of our friends was a biology teacher. My biology teacher friend asked me if I used the vitamins. I told him that I did not as I felt that they were too expensive and I was concerned about the fructose in them. Since our bodies are so mineral deficient, he felt that this delivery system, that is patented, could get the minerals into my cells. He did not feel that their could be too much fructose in them, which I found out that the amount of fructose in the daily recommended amount of vitamins was equivalent to eating one cherry. I still resisted because of the cost, but then I could try them at no risk for 90 days. This meant that it would not cost me anything to try them as free is less expensive than cheap. In that first month on the program I started having insulin reactions and my blood sugars ran lower than they used to. I am on an insulin pump so it was easy for me to adjust my insulin intake, as I tested my blood sugars four times a day. During this first month I was able to lower my need for insulin about 10%. I started by taking 6 capsules a day for tissue saturation. This is when you take one Provex for each 25 pounds of body weight. I weigh 160 pounds so I took enough for 150 pounds. I started taking 6 capsules per day on Thursday and I had 3 insulin reactions on Saturday and 3 insulin reactions on Sunday. I reduced my insulin intake by another 10% and then I had good control again. I am now taking 8 units of insulin for breakfast instead of 10 units. Because of what happened to me, I would not encourage diabetics to take more than 2 Provex a day to start off with. I would then work up gradually to the saturation dose and adjust your insulin. I can not believe that I have cut my insulin intake by 20%, and that I need less sleep and I over all feel better. Melaleuca has helped me make it through some tough times in my life. Some of the other Melaleuca products that have really helped me are the Antibacterial Liquid Soap that I use to clean my site area for my insulin pump and I have never had an infection. I also use the soap to clean my hands before I test my blood four times a day. My fingers do not get dry because I don’t use the alcohol swabs. I use the T36 C5 on any cuts and especially on my feet as well as the Triple Antibiotic Ointment for healing. The Renew Skin Lotion is great for conditioning the skin of the feet. My leg muscles used to burn all the time as I jog from 3 to 8 miles a day. By exercising my insulin seems to work better. I am now able to eat a whole Access Bar and when I run 5 miles, and my blood sugar will be the same at the end of my run. I also use the Sustain or Attain for a snack and they take 2.5 units of insulin. These products taste great and they do not send my blood sugars sky high. These products have really enhanced my life. Before I got on the vitamins, I didn’t heal that well. I use have to put pressure on my finger for up to a minute to stop the bleeding when I tested my blood. Today I just wipe it off. I have recently started taking the Replenex every day and my insulin need has dropped another 5%. Finally last week the Doctor was able to pin point my ill health, it was actually good health. Since going on to the Melaleuca Peak Performance my body has not been this well, that combined with my weight loss and Access Bars, I was just very healthy. So why was I so ill, well my doctor did not believe that I could improve so quickly so I have been over-medicated for both my allergic rhyinitus and my diabetes. This has made me very tired, and given my viral symptoms. Finally 2 weeks ago I had a glucose feed tube test where my reaction to glucose was measured against my medication, I also had a HBC1 blood test. Well the ideal figure is under 7, but all diabetics are over 7 so we are given medication to bring us down to 7. My last reading was 11 in September so I was medicated to reduce this. My reading came back two weeks ago as 6.4! This is amazing, as I had stopped taking some of my medication because I kept passing out. An amazed Doctor wrote excellent on my chart for the first time in my life, after a week of the new drugs I am feeling like a new woman. I have also had my allergy medication reduced. So in telling the doctor of our long flight I asked if I should take aspirin as he had recommended in the past, NO he said what ever you are doing to your blood with that mela stuff keep doing it. So after some 7 months of feeling really ill, I am back on track and well. Now do you think Melaleuca should put a health warning on their products to say ‘Beware this could make you well and you may need to reduce man made products with side affects if you use these products’ As an aside I have lost 51 lbs on Access Bars since October when they arrived and I look somewhat different to the time when I started using them.. If ever you need a product story on Access and the Daily 4 Life changing an English girls life then here it is. my diabetes. I didn’t check my blood sugar, nor take insulin. Nothing. I finally accepted the diagnosis and decided to do something about it. unable to sleep, always edgy, and felt terrible in general. morning, once again depending upon my nighttime snack, and/or exercise. have also incorporated a short 30-minute walk into my morning routine. I am sure this has something to do with my blood sugar results also. Hopefully this will help someone you know. 1. Neuropathy of the feet and many surgeries treating infections including finally broken foot bones and many foot ulcers. 2. Amputation of three fingers on my left hand due to staff infections and poor blood sugar control. completed in each eye. This has been very successful for stopping the hemorrhaging. 4. Left leg amputated below the left knee due to unsuccessful healing of the foot and neuropathy. I walk with a prosthetic leg. 5. Triple by-pass heart surgery. 6. Fighting infections with every cut, scrap or blister potentially turning into an ulcer. The Melaleuca oil is the best daily medication I use for protection and fighting infection. I have saved thousands of dollars from the cost of conventional wound centers by using Melaleuca oil. This is a must for diabetics. I also experience tremendously dry skin and have caused many ulcers to form due to callus and cracking. The Renew skin lotion does the trick. I appreciate your efforts in teaching about diabetics and cardiovascular care. Melaleuca is the preventative measure along with diet and exercise. I have learned though, I have to take responsibility of my diabetes. I used to think that my doctor always could medicate my problems. My height is 6’1″ and I weigh 212. I am working on reducing my weight to 185. For The First Time He Was Given the Same Life Insurance Rate as Non-Diabetics. The following is a case of a male diabetic who is approximately 46 years of age, he has never been over weight, and he has a good diet and is self-employed and owns a physical therapy clinic. He has been taking insulin by injection for over 14 years. I explained to him the importance of anti-oxidants, the mineral chromium and the herbal extract ginko biloba on glucose metabolism. For diabetics the less insulin that they have to use to lower their blood sugar levels the better. This also holds true for everyone. The amount of sugar in your blood is a result of what you eat. According to Dr. Simeon Margolis, M. D., Ph. D. , professor of medicine and biological chemistry Johns HopkinsMedical School, high blood insulin levels can put people at risk for high blood pressure and heart disease. High blood insulin hastens the development of arteriosclerosis and enhances the formation of blood clots causing a stroke or heart attack. After explaining to my friend the importance of various nutrients that are known to help decrease insulin requirements, I convinced him to try the Vitality Pack and the Provex CV. If he did not notice a difference in his insulin requirements and didn’t feel better overall, then he could return these products for a full refund. The only stipulation was that he be consistent with the daily-recommended dosages and that he CHECK HIS BLOOD GLUCOSE at least 2 to 3 times per day. After 30 days I called and asked him what he had experienced. He was very pleased and informed me that his blood glucose level has never been this stable and consistent. He also felt better and his wife stated that he was much easier to get along with! He agreed to set-up an account and wanted to start buying Melaleuca products for himself, his home and for his clinic. Two weeks ago he informed me that he applied for life insurance again, and for the first time he was given the same rate as non-diabetics. Needless to say, he now feels that it is time to start telling a few more of his friends and patients about these products that have helped him. Melaleuca, has products that can help people. If their products were not effective then they would not still be in business. I realize that most people are skeptical and that is to be expected, but when you can solve some ones problem, then they will be more willing to listen. 2. The anti-oxidant benefits from the Provex CV, which is a super anti-oxidant, helps to reduce further diabetic complications that result from free radicals damaging the beta cells in the pancreas that produce insulin. Flavonoids, like grape seed, grape skin, bilberry, ginko biloba and especially quercitin, promote insulin secretion and inhibit the accumulation of sorbitol in the tissues and blood. 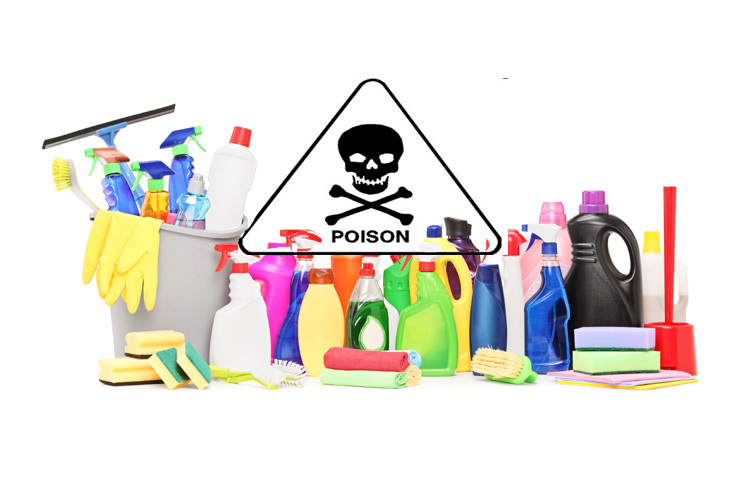 Toxins around the home are bad for you and can be solved easily ! Unfortunately we are surrounded by toxins everywhere. They silently poison our lives and are contributing to a multitude of modern day illnesses. Fear not they can be avoided! Please take a few minutes to watch this short video. This is a collection of useful information and tips compiled by individuals re: many uses for one of Melaleuca‘s favourite products: Sol-U-Mel. It cleans and dissolves previously impossible stains. You can add Sol-U-Mel to other Melaleuca cleaners as an extender or cleaning booster and it is a wonderful deodoriser, air freshener and much more. Used full strength, Sol-U-Mel has the highest concentration of Melaleuca Oil over any of Melaleuca’s other cleaners. Sol-U-Mel can remove even stubborn oil stains, crayon, chewing gum and ink. Dilute it with water for an all-purpose, ready-to-use cleaner, deodoriser, air freshener and more. When you clean with Sol-U-Mel, the fragrance of Melaleuca Oil neutralises lingering smells around the house. There is also lemon blossom scented Sol-U-Mel that has a nice citrus scent too. For deep odours like smoke, mildew, or pets dilute Sol-U-Mel in warm water. The gold solution will turn milky white as you add warm water. The warm water allows the oil to mix better into the sprayer. Spray it into the air, on carpets or upholstery. Spray into closets and corners to eliminate any stale or foul odours. The Wonder from Down Under! What it’s NOT is even more amazing! No caustic chemicals! 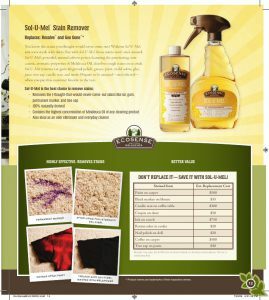 It is comprised entirely of naturally derived ingredients, including the highest concentration of Melaleuca Oil available and the stain-cutting ingredients in it come from renewable resources that are biodegradable. Among its many attributes, it is the most effective cleaner on the market and fills an entirely new cleaning niche. You’ll find here that it’s used for many more functions than just cleaning! 1. Gummy labels, chewing gum, tape, tar, tree sap, sticky residue etc. – use Sol-U-Mel full strength as an effective solvent to remove any sticky stuff, even on vehicles! Mini-blinds — Mix 2 tablespoons of Tough & Tender and 1 capful of Sol-U-Mel with 16 oz. of water to cut through the grimy dirt on blinds. – in a 16 oz spray bottle, mix 1 teaspoon Sol-U-Mel to 1 teaspoon of Tough & Tender, fill with water. Spray area to help soften wallpaper for easier removal. Kitchen Odours – in a 16 oz spray bottle, add 1/3 cup Sol-U-Mel and fill with water. Spray cutting boards, counter tops to eliminate onion, fish and other odours. This will also kill any germs as well. For extra safety, follow up with Soluguard Botanical Spray. – Mix 2 1/2 tablespoons of MelaMagic and 1 1/2 capfuls of Sol-U-Mel with water in a 16 oz. spray bottle. Spray on surfaces like the shower curtain and let sit for a few minutes. Wipe clean with a damp cloth. – The quality of the air you breathe in your home may be robbing you of good health. Modern, energy efficient homes, by virtue of their air tight design, often trap chemical vapours in addition to mold, fungus, yeast and bacteria from moist condensation in heating and cooling ducts, soil from house plants and under sink areas. There is a literal zoo cohabiting our homes. Many respiratory, eye, ear, nose and throat complaints appear in doctors waiting rooms because of over exposure to foul household air. Changes of season often shift populations of these microbial species as growing conditions fluctuate. The out gassing of toxic vapours from these situations significantly decrease air quality. What can you do? 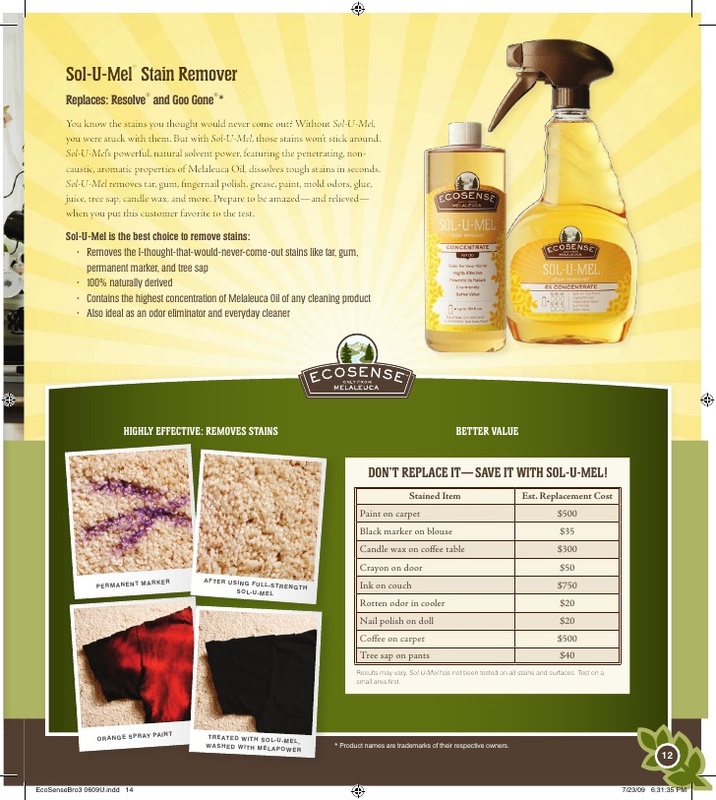 Replace toxic cleaning and personal care products with safer Melaleuca products. Remove browning leaves from house plants immediately and provide good drainage. Change furnace and cooling air return filters monthly during extreme weather usage. Spray all filters and vents often with diluted Sol-U-Mel. To do a Melaleuca oil purge of your house every couple of months, attach an inverted open bottle of T36-C5 Oil on the furnace intake filter. The high air volume will diffuse the entire contents of the bottle throughout your house over the next 12 -36 hours (depending upon temperature and relative humidity). This treated air flows throughout all the rooms and stops the growth of bacteria, moulds, fungus and viruses. – Add 1 tablespoon of Tough & Tender to 16 oz. of water, or use diluted Sol-U-Mel. Spray on roses to kill aphids and other undesirables. Sol-U-Mel will also clean moss or algae off your clay pots. – Mix 1/4 cup of PreSpot plus 1/2 cup MelaMagic and 1 tablespoon of Sol-U-Mel. Pour solution into the tray of the carpet cleaner. Another recipe: Mix 1/2 cup Tough & Tender, 1/16 cup of MelaMagic, and 1/8 cup Sol-U-Mel in 1 gallon of water. – Mix 1 1/2 capfuls of Sol-U-Mel with water in l6 oz. spray bottle. Lightly spray carpet with diluted Sol-U-Mel, let sit for 5 minutes and vacuum as usual. – 16 oz of PreSpot, 1/4 Cup Tub & Tile, 1/4 Cup MelaMagic, 3/4 Cup DiamondBrite, 4 oz Sol-U-Mel in empty 32 oz bottle. Add water to fill, then shake well and use ¼ cup per load. – Add 1 capful of Sol-U-Mel and 2-4 capfuls of MelaMagic to an average wash load to deodorise and disinfect. – add either MelaBrite or 1 capful of Sol-U-Mel to MelaPower. Sol-U-Mel added to MelaPower will also deodorise clothing. For extra germ protection or for mildewed clothes add 1 capful of Sol-U-Mel to your wash.
– Use Sol-U-Mel full strength on fabrics. Great to lift paint stains too! – Mix a solution of 2 tablespoons of MelaPower and 1 capful of Sol-U-Mel with 2 gallons of warm water. Put clothing in this solution and let soak for a few hours. If the grease spots are not dissolved, apply a squirt of Antibacterial Liquid Soap. Rub in and let stand for a few minutes before rinsing with warm water. You can also add MelaMagic directly to the wash water in the machine. – Apply Sol-U-Mel full strength to spot, rub then rinse & wash as normal. – A friend asked if we had anything that would get ink out of clothing. A pen in a shirt pocket had gone through the washer and dryer leaving ink all over the clothes. Without missing a beat, I grabbed my Sol-U-Mel, sprayed the shirt that had ink all over it & I started dabbing it with a wash cloth. It started coming out like a breeze. One thing, make sure you have a cloth behind where you are working so the ink doesn’t bleed through as the Sol-U-Mel dissolves it. – Combine 1 oz. of Sol-U-Mel, 1/2 oz of MelaPower & 1/2 oz MelaBrite. Add sufficient water to cover soiled diapers to soak overnight. Then wash with MelaPower and 1 oz. Sol-U-Mel in washing machine (PreSpot stained areas). They will come out whiter, brighter and exceptionally fresh smelling with this method. *For those parents who use disposable diapers, spray diluted Sol-U-Mel mixture in garbage pail to deodorise and disinfect. – Washable toys such as stuffed animals, dolls, blankets etc., wash in machine with 1/8 cup of MelaPower and 1 capful of Sol-U-Mel. For all plastic toys etc., wash in a sink full of hot water mixed with 1 capful of Tough & Tender and Sol-U-Mel to clean and disinfect. – My husband bought a used truck & the previous owners smoked. I sprayed Sol-U-Mel all over inside. Once it dried the odor was gone. – Spritz a bit of Sol-U-Mel in the refrigerator now and then to keep it smelling fresh. – Sol-U-Mel will remove even the worst old food odours from food coolers also. – Burned food odours are quickly eliminated by spraying diluted Sol-U-Mel in the room area. Second-hand cigarette smoke a problem? Spray Sol-U-Mel to deodorise a smoke filled room and directly on clothes to remove cigarette orders. – add 1 capful of Sol-U-Mel to bath water as an initial therapy for dry skin, rashes, dermatitis, diaper rash etc. Helps soothe and soften the skin. – Melaleuca products, including T36-C5 Oil, Renew Bath Oil or Sol-U-Mel should NOT be used in an operating tub or permanent Jacuzzi tub. Melaleuca alternifolia oil is not compatible with the filtration system in these sophisticated environments. You can use Sol-U-Mel, Tub & Tile etc. in cleaning the walls of a dry tub, but not when the system is filled. – Add 1 tablespoon of Sol-U-Mel to water in a vaporiser (or use a bowl of boiling water). Make a tent by draping a large towel over the head and breathe directly over the vapours for 10 minutes, twice daily. Sleep in a room with a vaporizer running all night. This also helps to clean and purify the air. A cold mist humidifier can also be used. This remedy is also effective for bronchitis and asthma. – Mix a few drops of T36-C5 Oil and 1 capful of Sol-U-Mel diluted with water in a trigger sprayer. Spray onto clothes, skin and outdoor areas as a safe and effective repellent. Another Insect Repellent recipe: 1 teaspoon of Tough & Tender with a capful of Sol-U-Mel and I capful of Renew Spa & Bath Oil diluted with water in a trigger sprayer. – Bathe with one ounce Sol-U-Mel added to bathwater; drink three to four cups G’Day Melaleuca Tea (hot or iced) daily. – Apply T36-C5 to the wart morning and night. Soak in solution of one to two capfuls of Sol-UMel in one cup warm water for 20 minutes. Most types of warts respond to this treatment. -Drink plenty of hot G’Day Melaleuca Tea. Also inhale vaporiser steam with 2 capfuls Sol-U-Mel and 10 drops T36-C5 added. Swab the back of your throat with straight Melaleuca Oil or dip swab in the Melaleuca mouthwash then add the oil – it kills strep and takes out the sting. -same as above. Plus if you have a cold coming on you can put a few drops in your humidifier and voila, your cold symptoms will be gone by morning! – Same thing with this treatment also gives relief when your nose and throat are affected by hay fever, dust or pollen. – Place Sol-U-Mel full strength to the sides and base of the nose 2 to 3 times in a row as you inhale deeply through the nose. Spray Sol-U-Mel onto a clean dry wash cloth and place it over the nose and mouth and breathe in through it. – dab T36-C5 directly under each nostril. Breathe the enriched steam from a vaporiser or a bowl of very hot water morning and night, adding 10 drops of T36-C5 and 2 capfuls Sol-U-Mel to the water. Form a tent over your head and the vapoursizer, breathe in the aromatic vapors keeping eyes closed. You can run the vapourizer with this solution all night. – Along with changing the way you clean your home and wash clothes (switching to EcoSense products) you can soak daily in a warm bath with one ounce Sol-U-Mel and one ounce Renew Bath Oil added to the water. – Add three more ounces of each and bathe as above. – bathe in one ounce Sol-U-Mel with one ounce Renew Bath Oil® in tub. Use the Gold Bar, Platinum Bar or the Liquid Soap on a washcloth and clean well. -Clean a cut with warm water and Sol-U-Mel. Wounds that are open or are healing are greatly helped by rinsing daily with one ounce Sol-U-Mel in a pint of water. – Combine equal parts Sol-U-Mel and Renew Bath Oil put some on a warm, dampened cloth and hold in place for several minutes. Repeat. Dry area and apply T36-C5 and Renew Skin Lotion. – To clean excess or impacted wax from the ear canal, apply one drop of T36-C5 and one drop of Sol-U-Mel to a small piece of cotton, which has been pulled and twisted to a point. Insert the soaked point in the ear ove8rnight. The next morning, remove the cotton and fill a rubber baby syringe with one teaspoon or Sol-U-Mel in 8 oz. water heated to body temperature. Hold the syringe toward the side of the canal just inside the ear opening, leaving a space for the water to swish back out. Squeeze a firm stream of water into the ear canal several times to melt and dislodge the wax. – Our daughter recently had a case of head lice and decided to see what Melaleuca products could do. We were out of oil and decided to try what we had. We sprayed her head with Sol-U-Mel and then shampooed with Melaleuca original shampoo then let it sit for about 10 minutes and rinsed. The gross little buggers were floating in the tub. We then took a nit comb through her hair and the eggs came out easily. This was such a relief to use something that wasn’t burning my child’s scalp. AND IT WORKED! Thank you, Melaleuca. – (painful skin blisters) can be helped by adding two ounces Renew Bath Oil and two ounces Sol-U-Mel to your bath. -Soothe asthma conditions and get relief by adding 10 drops T36-5 and 2 capfuls Sol-U-Mel to water in a humidifier or vaporizer. 43. Bunions – soak the foot in one ounce Sol-U-Mel and two tablespoons of Epsom salts in a quart of hot water. – you’ll want to first soak the foot in hot water with one ounce Sol-U-Mel added. Then apply the T36-C5 oil and Mela-Gel. 45. 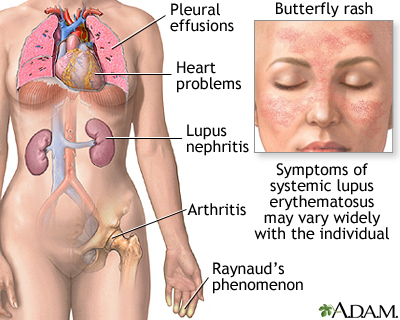 Allergic reactions – I have a friend who had a reaction to her new insulin. She soaked in a hot bath with Sol-UMel and then Renew Bath Oil and the next day it was almost gone. It stopped the itching right away. 46. Itchy body, jock itch, groin, etc. – For general protection, wash all bedding in washing machine with 2 capfuls of Sol-U-Mel and 1/8 cup MelaPower. Add 2 oz. of Sol-U-Mel to 16oz of water in trigger sprayer and apply to areas where dog or cat rests to repel fleas and deodorize. Sol-U-Guard Botanical works well too because the herb Thyme (the main ingredient) kills fleas. – Sol-U-Mel for de-fleaing and de-ticking animals. It works great! I used it first on a cat that had a flea infestation like I’ve never seen before or since. I’ve never found anything that kills fleas immediately like it does. I make a dip and a spray out of it and use it frequently on my cats and my dogs. – Mix 2 oz. of Sol-U-Mel with 16 oz. of water. Spray directly on the animal. – To control odor in or around a small animal cages or to prevent communicable diseases, dab T36-C5 or spray a 1:20 diluted solution of Sol-U-Mel to the area 2 or 3 times each week. – To prevent diseases among birds, use a 1:100 dilution of Sol-U-Mel sprayed once per week to the absorbent fodder material on the bottom of the cage. Spray each time the fodder is changed. WARNING! Some exotic birds are sensitive to the aromatic oils in T36-C5. – To clean their cage, mix 2 oz. of Sol-U-Mel with 16 oz. of water. Spray on cage and on the bottom tray to clean and deodorize. Scrub clean with brush. Rinse with water. – For a beautiful, shiny coat for your dogs, cats, horses, and other animals, add one Tbls Sol-U-Mel to their bath water. (It also kills any fleas and ticks so your pet stays bug free.) Spray directly on your dog to remove that “doggy odor”. – I also saturate my carpets in Sol-U-Mel spray (I bought a weed type sprayer so it takes less time to spray inside the house) and have no fleas anywhere at all! – We live in the mountains and our dogs often come home a little “beat up” from tangles with bears and wild hogs. I’ve always used a wound care salve from a local store with okay results. 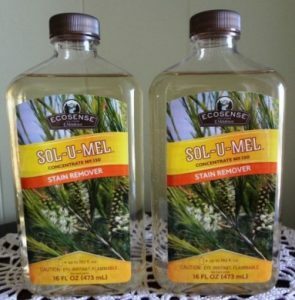 I did some reading and research and decided to try the Sol-U-Mel diluted on one of their cuts. It worked wonderfully. It also costs less than what I was using. – I wouldn’t believe it if I hadn’t actually tried it. We have a little animal friend who takes a stroll across our backyard every evening. When I went out one summer night, I could smell him. I got my diluted Sol-U-Mel and sprayed four or five times outside around my back balcony. I was amazed when I got back home 30 minutes later. The smell was gone. Sol-U-Mel is truly a great product. If it can get rid of skunk smell, it can get rid of any unpleasant odors! I spray Sol-U-Mel in my cat box and stir it around to keep the litter smelling fresh. I had a new neighbor visiting us and she didn’t even know I had a cat! There was no smell and the cat box actually sits out in the front part of my house. -Sol-U-Mel is one of my favorite products. We own a rental property and some tenants had eight cats and a black lab puppy. Needless to say we had cat urine everywhere. After ripping up all the carpets and re-sanding the wood floors, the smell was still terrible and unbearable. 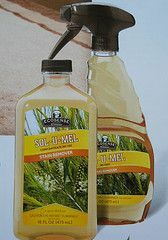 Sol-U-Mel was the only product that killed the smell. Thank you, Melaleuca, for having this great product that has so many uses. 58. Horses, Cattle, Goats, etc. – Keep flies away by spraying animals with diluted Sol-U-Mel. I also have llamas and have used Sol-U-Mel on the females for chapping armpits. It worked great. 59. Spraying Sol-U-Mel in the yard is an excellent way to kill bugs, fleas, mosquitoes and ticks. When outdoors, spray clothing with diluted Sol-U-Mel to help ward off insects, whether hiking, camping, picnicking or just hanging out in your own backyard. 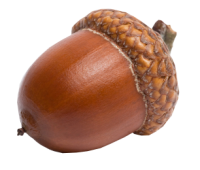 – ruining your outdoor get-togethers? Spray the air around your patio with diluted Sol-U-Mel (two tablespoons with 16 oz. water). A little Sol-U-Mel sprayed around the outside rims of doors helps keep away mosquitoes where they love to congregate overnight as well. – Box Elder bugs are small, annoying, flat, mostly black bugs with some orange. They can fly and they multiply like crazy. In the summer the sides of our sheds and house have been covered with them. Everything we tried on them didn’t work until Sol-U-Mel! Now those little devils don’t stand a chance! One spray and its toes up! You can bet come next spring my orders will include Sol-U-Mel each month so I can get the offspring I didn’t get this last summer! – Keep a mixture of diluted Sol-U-Mel® with a few drops T36-C5 added to spray pesky ants from unwanted areas. PreSpot also works well and is one of the best ant killers you will ever get your hands on. -Live in an area with a lot of pine trees and bushes around? A time of the year when there’s a lot of webs flying around with the little spider all clustered up? They land on the patio furniture, the side of the house, planters, everywhere. They look like a bunch of shiny pin heads. If you touch them, they scatter in all directions, and eventually reform the cluster. Of course, all these little buggers eventually turn into big ugly spiders. I tried zapping them with other products but they just scattered. Well, diluted Sol-U-Mel does it! I hold a paper towel under the cluster, spray with Sol-U-Mel and grab the whole dead/stunned bunch in the towel. This works with horseflies, mosquitoes and all bugs in general. -Gum – Pour full strength Sol-U-Mel on the gum area. Let set a minute, then rub to loosen the gum, and wash the item in MelaPower if possible. On car seats or furniture – I took an old towel, put a little Sol-U-Mel (undiluted) in the corner and lightly dabbed and wiped the gum, and amazingly it came right off. -Sol-U-Mel works easily to get rid of Bandage residue on skin. Use it to take off that annoying sticky residue left from labels and price tags. -Ever use Superglue and have your fingers stick to each other? Use a little Sol-U-Mel between fingers to dissolve the glue. -Dr. George Graham, a microbiologist in Knoxville, TN, has a business of getting rid of black mold and all kinds of mold. He uses Sol-U-Mel, and Sol-U-Mel with Tough & Tender. His web site is: www.themoldlab.com He claims that chlorine does not kill mold. Sol-U-Mel does. Bathrooms with mold and mildew on the walls and ceiling above the shower – I have found that Sol-UMel works great. It is effective in killing the mold and mildew and is non-toxic to humans or pets. Since it’s in concentrated form you don’t pay for water and packaging! Spray Sol-U-Mel in the air to kill the mold spores in the air. I use just 2 caps to 16oz water. I save the 16oz Sol-U-Mel bottles and put the sprayer from the foot spray on it, and it makes a nice mist. Just spray in the room. I know that it works because my husband doesn’t sneeze as much. Removing wallpaper from walls is a cinch. I use diluted Sol-U-Mel, spray it on and let it soak in. Using a scraper, I lightly scrape the wallpaper and paste off the walls; it practically falls off! Nothing measures up to the superior cleaning power of Sol-UMel, whether you use it diluted with water or full strength for tough jobs. Just one use and you‘ll throw out all of your other stain cleaners! Works on stainless, marble and granite too. DO NOT USE SOL-U-GUARD ON NATURAL STONE OR GRANITE. THE CITRIC ACID WILL ETCH IT! 68. Spray Sol-U-Mel in sink & sprinkle with salt. Let set and then use no-scratch scrubber like Scotch Brite. 69. Mix 4 tablespoons Tub & Tile and one capful of Sol-U-Mel with 16 ounces water in spray bottle. Spray sink and wipe with damp rag. (For rust stains or mineral deposits, use Tub & Tile full strength. 70. Use one capful Sol-U-Mel with a little MelaBrite. Let set and wipe with rag or no-scratch scrubber. – Add 3 ounces Sol-U-Mel to water in a spray bottle. Spray on counter and let set a few minutes. Wipe clean with damp cloth. This also kills any germs that may be on the counter or appliance. -Get in the habit of pouring a little Sol-U-Mel down your garbage disposal to keep it clean, sanitized and fresh smelling. 73. Furniture, both the upholstery as well as the wood. -Use diluted cleaner to freshen upholstery and remove stains from wood. – Forget about those horrible and dangerous fumes that you have to deal with when cleaning your oven because you’ll now be able to do this task with your Sol-U-Mel. – clean shower curtains with a mix of 2 1/2 tablespoons of MelaMagic and 1 1/2 caps full of Sol-U-Mel with water in a 16 ounce spray bottle. Spray on curtain and let set a few minutes, then wipe clean with a damp cloth. You can add it to Tough & Tender and really boost its disinfecting properties. – use Sol-U-Mel. It’s great for getting out grease on clothes, carpets, off concrete, etc. – Mix two tablespoons MelaMagic and one capful Sol-U-Mel with 16oz water. You can keep this in a spray bottle or mix in a bucket. Spray or wipe on floor and mop up. – mix one tablespoon Sol-U-Mel with one tablespoon Tough & Tender and two Tbls DiamondBrite Gel with a gallon of water. Scrub with a Scotch Brite type scrubber. It works great! -Spray it in diaper pails and garbage cans to freshen, deodorize and kill germs and bacteria. -It’s great to spray on the vacuum brushes of your vacuum cleaner and can also be sprayed in the vacuum bag itself to keep it smelling fresh. -Clean and disinfect your telephone (handset) with diluted Sol-U-Mel. Just spray and wipe. -My refrigerator went kaput last weekend and we discovered that the condenser had been dripping oil underneath for, I assume, a long time. It had grown. I took diluted Sol-U-Mel and sprayed it and there was an instant dissolving of the top layer. I put my 10 year old to work on the spot with a roll of paper towels and the sprayer. By the time I came home with the new fridge, the spot was long gone. -My most recent success with Sol-U-Mel is taking a melted bread bag off my hot cooking sheet. -It is perfect for cleaning ventilator hoods; it degreases them beautifully. For tough caked on grease add a little Mela Magic. -It takes off wax from fabric, plastic or glass. After a fun evening with friends, I found that a couple of my candles had been knocked over. Wax had sprayed all over my beautiful glass coffee table. I scraped off the large drops of wax, and then poured Sol-U-Mel directly on the smeared wax, and the residue just wiped away! -I love Sol-U-Mel! I have it in the bathroom in a little fancy canning jar with a lid. I use it on a cotton swab dipped in it and apply it to fungus on my toe nail; acne; earring infections and healing piercing (works especially well on cartilage). -I use it in a “pumper”- (a nonaerosol pump) mixing two teaspoons of Sol-U-Mel with water. The kids love that “fresh” smell and it kills the odors in the bathroom. Great for removing the odor when you burn something! -Spray it on your pillows. -Spray it on and under your mattress to get rid of dust mites. Spray it on hotel mattresses too! -Sol-U-Mel takes scuff marks off linoleum. -Use Sol-U-Mel to spray on your air conditioning filters every time you change them or clean them because it kills mold on contact. Then run the air conditioner or heater to get the Sol-U-Mel throughout their system, and to kill the mold and other harmful bacteria. Be sure to regularly spray it on all your air conditioning / heating vents too. -For tough stains on wood furniture, use 1 tablespoon Sol-U-Mel in a gallon of water. Rub with rag and towel dry. Protect the finish with Rustic Touch. -Try Sol-U-Mel full strength or diluted on tough carpet stains. It will even take out rust stains on carpet that professional carpet cleaners can‘t get out. -Lightly spray carpets with diluted Sol-U-Mel before vacuuming. For sweepers that run with water; add one teaspoon to the water and it will refresh the air in your home while it cleans. For spot treating: Mix 1-2 capfuls Sol-U-Mel with water in spray bottle. Spray on carpet and let set 5 minutes. Clean with a scrub brush. Blot with damp cloth. – Sol-U-Mel goes to work immediately and cleans it out of the carpet. We used Sol-U-Mel to take out some imbedded blue dye on our ivory carpet which had “bled” from the fur of a stuffed toy animal. -According to the Melaleuca Wellness Guide this is a great carpet cleaner-machine mix: 1/2 C MelaPower, ¼ C MelaMagic, 2 caps Sol-U-Mel in 3 gallons of water. There are a couple of alternative mixes as well, using combinations of Tough & Tender and Pre-Spot Plus along with the ingredients above. -I had been working on patching a freeway and we were using thick, tar-like oil. I came home from work, forgot to take off my boots, and tracked black tar through the house. Mom tried several cleaning products. They didn’t even phase the tar and it sat on the carpet for a month. When we got some Sol-U-Mel, I asked her to try it. She poured a capful on each spot and let it soak for a few minutes, then put some on an old towel to rub with. It removed all the tar. I was out of trouble and no damage to the carpet. -We had a dark pink nail polish spill on our carpet. We’d used nail polish remover at that time and it didn’t help. When we got the Sol-U-Mel we tried it and 95% or more of the polish stain came out – after two years! One morning, I heard my daughter crying upstairs. I found that she had broken an entire bottle of nail polish on our light-colored carpet. I quickly got some rags and the Sol-U-Mel, but I was skeptical about being able to clean up the mess. Much to my surprise, all of the nail polish came out the carpet! Take Sol-U-Mel with you on trips. Spray it in your hotel room and on the air intake or fan areas, pillow and sheets and bed spreads. You’ll love how it freshens and deodorizes (kills germs too)! Sol-U-Mel will help with tar on cars. Soak a cloth with it and wipe affected area. This should dissolve the tar right away. You can also try adding a capful Sol-U-Mel with some Pre Spot to remove bugs and tar from automobiles. Remove old bumper stickers by applying full strength Sol-U-Mel and let it soak for a few minutes. Repeat if necessary. Several months ago, my wife noticed some whitish spots on the hood of her green van. Further inspection revealed that they were actually small spots of concrete. She tried several products to remove it with no results. She then tried Sol-U-Mel. Much to her joy, the concrete all came off! Sol-U-Mel is truly an excellent product. Sol-U-Mel works great as a paintbrush cleaner. We’ve tried it on latex paint (oil based paint would probably work fine too) and cleanup is a snap. Add a small amount to container of water, thoroughly swish paintbrush in this, rinse and dry. Bristles will be soft, clean and conditioned. My neighbor had Christmas tree sap in several places in her carpet for months. It was beige pile carpet and the sap had picked up dirt and was hard and dark. I put some Sol-U-Mel on my fingertip and rubbed it into the spots. I did this repeatedly until the spots dissolved. Then I used Tough & Tender to clean up the residue. When I was done, the carpet looked and felt brand new. Works on hard flooring too, even wood! Speaking of tree sap did you know Sol-U-Mel will remove tree sap from saw blades? A couple of drops of Sol-U-Mel in the water of our indoor water fountain keeps the water clean and also permeates and purifies the surrounding air. Soot – Spray diluted Sol-U-Mel on soot and marks and wipe off w/clean, wet rag. Cleans up and disinfects flood damaged areas. We have a beautiful indoor plant called a Hoya that sits on a big oak bookcase. This summer it became a haven for miniscule aphids. We found sticky aphid “drippings” on the bookcase and on the books. A little Sol-U-Mel on a rag effectively removed the dried, sticky gunk, and we sprayed the plant itself with a dilution of it too. No more aphids and no more gunk. I found another solution for crown rot. I bought a Fair Maiden Fern at a garden center. I had been looking for it so took a risk, and paid $8 for a small plant with browning on some leaves. I thought it was just from neglect by the nursery. When I planted it, I cut off the brown leaves, and it continued to do badly, with the brown returning and spreading. I use Sol-U-Mel all over my home for any kind of bacteria, virus, fungus, mold, etc. I dug up the plant and sprayed some of it, diluted, onto the roots and replanted it in a clean pot. (I don’t use bleach so that option was out.) All of the new growth is very healthy, and a bonus- since I cut off so many leaves it sent up new shoots. 105. You can clean and disinfect kitchen tools with it. 106. You can clean and disinfect garden tools with it. 108. Sol-U-Mel cleans up cosmetic spots like makeup, lipstick and hair coloring off of surfaces, fabric, etc. 109. My daughter wrote all over her face with an ink pen, my wife put straight Sol-U-Mel on a soft cloth and it cleaned it up quickly without pain or damage to the face. Actually it helped her face because it was red from marking on it so hard.